The Zebra MC40 has reached end of life. It has been replaced by the Zebra TC51 / TC56. 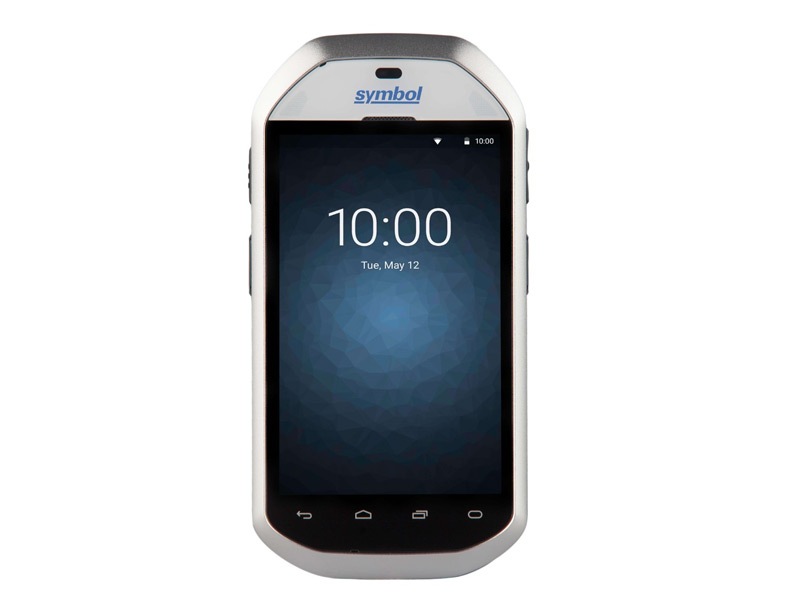 The Zebra Enterprise MC40 mobile computer is the lightweight and attractive way for your employees to manage data at your retail or hospitality location. Zebra Enterprise's advanced data capture and communications technologies come together in the MC40, making it a fantastic choice for retail price/inventory lookup, markups, and even line busting. Zebra Enterprise's mobile computer runs Android 4.1- 4.3 OS (KIT-KAT) and is powered by an 800 MHz processor with 1 GB of RAM. Equipped with 802.11a/b/g/n WiFi and push-to-talk ready out of the box, the MC40 allows employees to keep in contact virtually anywhere within the four walls. For data capture, Zebra Enterprise built their SE4500 "Blockbuster" scan engine into the MC40. 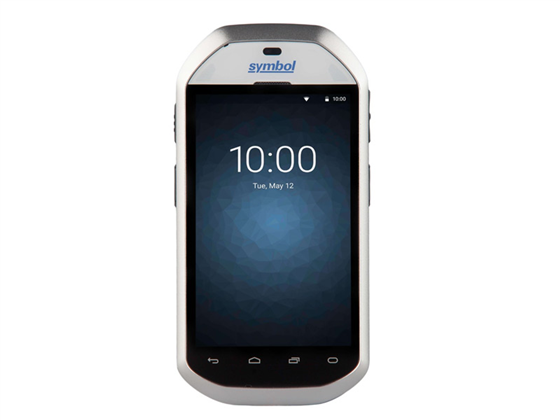 Fast 1D and 2D scanning with the ability to parse driver's license data, the SE4500 will keep up with the most light inventory and mobile POS applications. An 8 megapixel rear-mounted camera provides crisp color photos, ideal for delivery verification. Built to handle day-to-day retail abuse, the MC40 offers durability without sacrificing form. The lightweight mobile computer withstands drops of 4 feet, so an accidental drop out of pocket or knock off a counter won't slow it down. It has been sealed to IP54 standards, preventing dust and water splashes from harming the internal components. Shipping with a 1 year warranty, and with additional coverage plans available, the Zebra Enterprise MC40 is a terrific tool for workplace inventory and task management. The Zebra Enterprise MC40 is formerly known as the Motorola MC40. Dimensions Without Magnetic Card Reader: 2.87" x 0.79" x 5.66"
The MC40 gives you the durability of an enterprise device with the form and functionality of an Android smartphone. The integrated barcode scanner and optional card reader are elegantly designed to not interfere with regular use. When paired with a wireless printer, you get a fantastic line busting solution. Find it faster! Click here to compare MC40 models by feature. Mobile Computer, Grey with Android 4.1 JB, 1 GB RAM, 8 GB Flash, Telephone Ready, Push to Talk, Rear Camera, Bluetooth, 802.11b/g/n Radios Cables and cradle sold separately. Mobile Computer, Grey with Android 4.1, 1 GB RAM, 8 GB Flash, Telephone Ready, Push to Talk, MSR, Bluetooth, 802.11b/g/n Radios Cables and cradle sold separately. PWR-WUA5V6W0WW Power, Level VI AC/DC Power Supply Wall Adapter,with AU, US, EU, and UK Adapter Clips. AC Input: 100-240V, 0.2A. DC Output: 5.2V, 1.2A, 6W. Requires: USB to micro-USB or USB to device specific cable cup and BR adapter clip. CRDMC40XX-1000R Single Slot Cradle, Charge Only. Power Supply NOT included. PWR-WUA5V6W0WW and USB cable 25-MCXUSB-01R required. 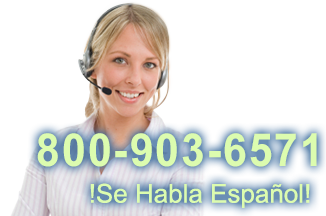 Browse all MC40 models now or call 800.903.6571 for assistance. Mobile Computer, Grey with Android 4.X KitKat, 1 GB RAM, 8 GB Flash, Telephone Ready, Push to Talk/VOIP, 2D, MSR, Bluetooth, WLAN 802.11 A/B/G/N Radios, Cables and cradle sold separately. Hi this is Travis with POSGuys.com today we're going to take a look at the MC40 by Moto Solutions. Moto has been making enterprise class mobile computers for a while. This is the older MC55 and this is the Motorola Android Cellphone. They basically took the two, married them together and they came up with the MC40. It runs an Android OS, barcode scanner is built into the top as well as an optional card reader. It's an enterprise level device like the MC55 so there is an actual drop spec on it. It is water and dust resistant and it made to be used everyday in a rough manner rather than like your cellphone where you protect it and be a little more careful with it. This can take a little more abuse and it is just made to be a little more enterprise. So standard features on the MC40 is an accelerometer so that you can flip between portrait and landscape modes, the multi-touch screen for zooming in and out as well as tactile feedback. So you can when you do different buttons or soft buttons or gestures or scan barcodes you'll get that feedback. Demonstrating the barcode scanner capabilities. Your standard 3 of 9 barcode will give you anywhere from about one inch out to about a foot and a half. It does have a 2D scan engine in it so if you're looking to capture data on like a drivers license or UPS tracking codes you shouldn't have any problems catching there, capturing the data. Scans UPCs just fine. This booklet demonstrates some damaged UPCS and it has no trouble scanning any of them. In bright light if you're using this in an outdoor setting or near a window it does not affect scanning capabilities at all. This is an imager so light should not affect scanning at all. The MC40 has an IP54 seal, this basically gives it a rating of dust and water resistance. So if you're working in a messy back room and you have a lot of dust there then you don't have to worry about dust blowing into crevices and jamming up buttons or blocking the microphone. It will have no problems with those. Should you get dust on it you can clean it. So spray it down really good and then just wipe it off. It is made to withstand that kind of punishment no trouble. As far as the drop spec goes it's been rated for a concrete drop of five feet and it also has been put through a tumble test where they put it in a barrel that flips up and down over and over. It did 500 drops at 1.5 feet. So it basically is made to be used you don't have to be so careful with it that you're worried about dropping. You shouldn't try an drop it but it can take a little bit of beating. More so than your average phone. It goes from 0 degrees to 120 degrees. That makes it perfect for indoor environments and your standard environments. Cold storage or extremely hot environments you might have some issues. Its really been made for standard indoor and outdoor temperatures. This is the MC40 from Motorola. There are a couple of optional accessories for it. One is the mag stripe reader. This isn't available on all models so if you need the card reader make sure to buy the one with mag stripe reader. Soon to come is a version that works outside the four walls. That basically means that it has a cellphone radio. Motorola also plans to have some special data plans for it to help lower the cost of the device. The device itself costs more than your standard cellphone, android cellphone but they are going to try to provide a discounted data plan that enables you to have the same cost of ownership over a couple years of owning the device. So you're going to want to contact and talk to our sales team regarding that information. This is a great device for line busting as well as registry look up or part number look ups for quantity that type of thing. It is a durable device, IP54 seal it can take a little bit of a drop, barcode scanner built in, 2D barcode scanner for drivers license, route accounting, that type of thing. For more information on the MC40, it's warranty or to purchase it please visit us at www.POSGuys.com.